waw! wonderful scan.. i cried when watching this anime..
it's beautiful, thank for sharing! Makoto Shinkai has a skill. Backgrounds in this anime are stunning. i love the colors. thanks for sharing! 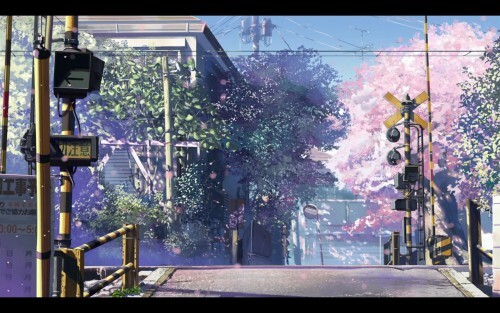 Makoto Shinkai's artwork and backgrounds are breath-taking :) Loved the movie! superb! thank you for this lovely scans! honto ni arigatou gozaimasu!